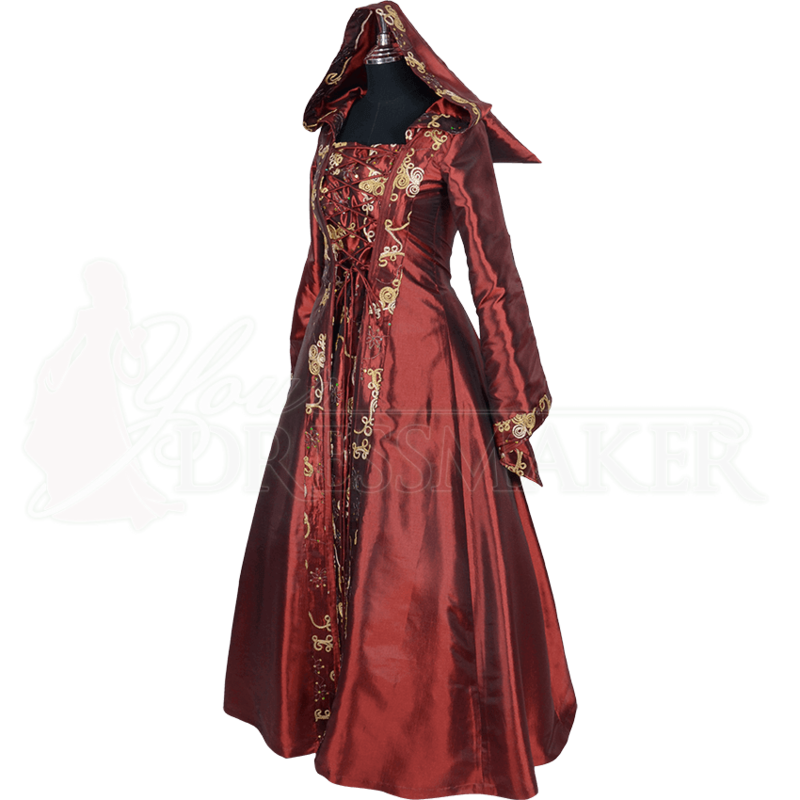 Enchant the members of the royal court when you wear the Hooded Renaissance Sorceress Gown - Burgundy. 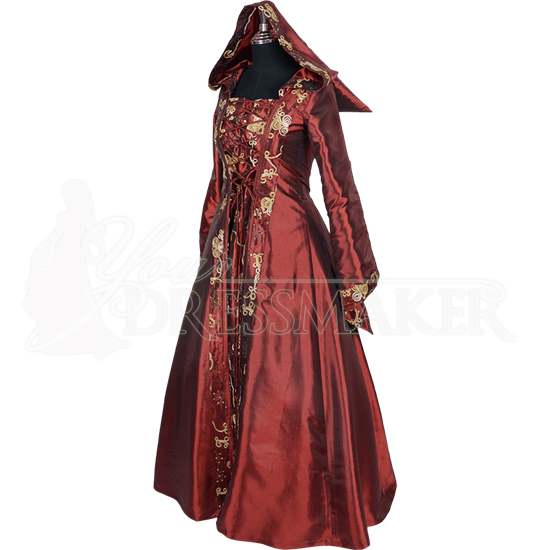 Gorgeous swirls of gold decorate the pointed hood, bell sleeves, and front panel of this hooded historical fantasy dress. All one piece, the inset front panel lends a layered look to this taffeta gown, emphasized by the adjustable lacing down the bodice. Similar lacing in the back helps create your preferred fit. Wear the full, pointed hood up for a hint of mystery. The long sleeves can be cinched up using incorporated cords or worn down for a dose of drama. The inside is lined with the same burgundy taffeta for comfort. Wear our A-Line Petticoat (MCI-145), sold separately, to enjoy the full volume of the long skirt.